Chennai, Oct 28 (IANS) A day after tweeting about the risk of a flood in North Chennai, actor Kamal Haasan on Saturday visited the Ennore Creek and spoke to the residents. Residents living near Ennore Creek were surprised to see the star visit their locality along with few environmentalists and social activists. Haasan, who is planning to launch a political party, also spoke to the residents and heard their problems. 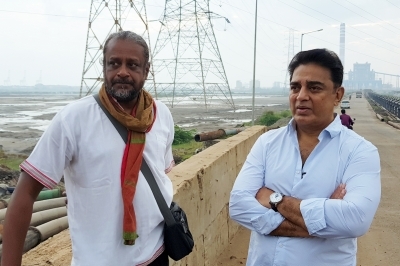 Haasan on Friday voiced his concern on the environmental impact due to the dumping of the ash waste by power plants in river Kosasthalaiyar and also warned about possible flooding of north Chennai.